Ghada Ghazal is an educator from Syria but has lived outside her country since 2012 due to the violence. In Syria, she taught Islam and Arabic at the Al-Anduluse Institute for Islamic Studies, an institute which worked to empower women to become social and Islamic activists. She was also a member of the Islamic Studies Center of Damascus, an influential group of religious and spiritual leaders. 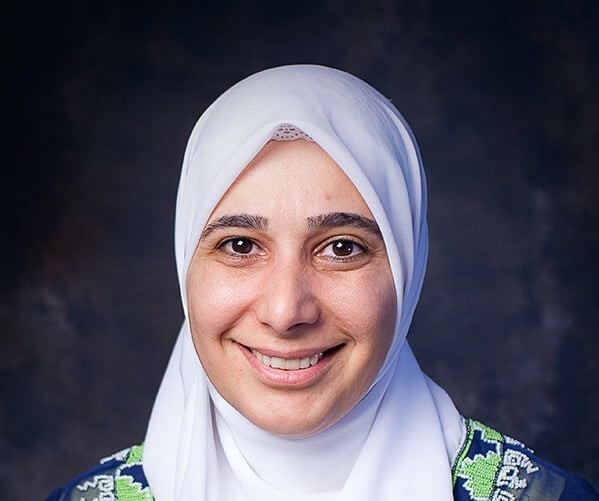 Ghada recently received a Master’s degree in Comparative Religions from the Qatar Foundation’s School of Islamic Studies, Hamad Bin Khalifa University. Her thesis was a study of the praise of Prophet Muhammad in the poetry of contemporary Arab Christian poets. She holds a Master’s degree in English from the United Kingdom and an undergraduate degree from Al-Baath University in Syria. In 2007, Ghada was a delegate to the United States as a member of the Religion and Society Program organized by the National Peace Foundation and the Islamic Society of North America and funded by the U.S. Department of State. At great risk, she also hosted delegations of multi-faith American religious leaders to Syria, including a group from the Institute for Global Engagement and another from the Religion and Society Program; among the first to welcome American religious leaders - Muslims, Christians and Jews - in Syria. Ghada has spoken and facilitated groups in the field of inter-religious and intercultural dialogues, as well as many aspects of Islam including Islamic thought, women in Islam, spirituality, the Qur’an, and other topics, around the world in Egypt, Lebanon, the Netherlands, Iran, Indonesia, Denmark, Cyprus, Turkey, Italy, Spain, Jordan, Australia, Sudan, Qatar, and Bahrain. She also serves often as an Arabic-English interpreter. Ghada works towards a future where the values and beliefs of all women are brought to bear in all levels of policy and decision making, and where the voices of women are equally valued and represented. She strives to see women in leadership roles, influencing decision making, especially engaging in conflict transformation.